Here's another fun tutorial I created this morning. Let me tell you, it took me a LONG time to get this typed up and completed. I created the animations specifically for this tutorial, so I had to try many different combinations before I was satisfied with the final result. Please DO NOT use these animations in any other tutorial. 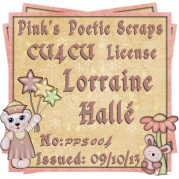 The download is available at my tut site and should only be used for this tutorial or another tags you make. I just don't want them used in another tutorial. Thank you for understanding. 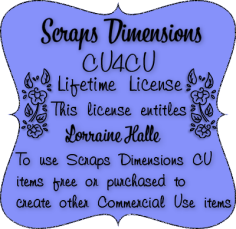 I'm a guest (temporary) tutorial writer on Marie Scraps CT of Scraps and the City. I wrote a tutorial using her awesome kit Cowgirl, which you can find here. I've created a new blog to host these tutorials and possibly others. and use the blog only. The blog is called: PSP Tutorials by Simone and you can find it HERE. Animations used in this kit as gunsmoke and shotgun.